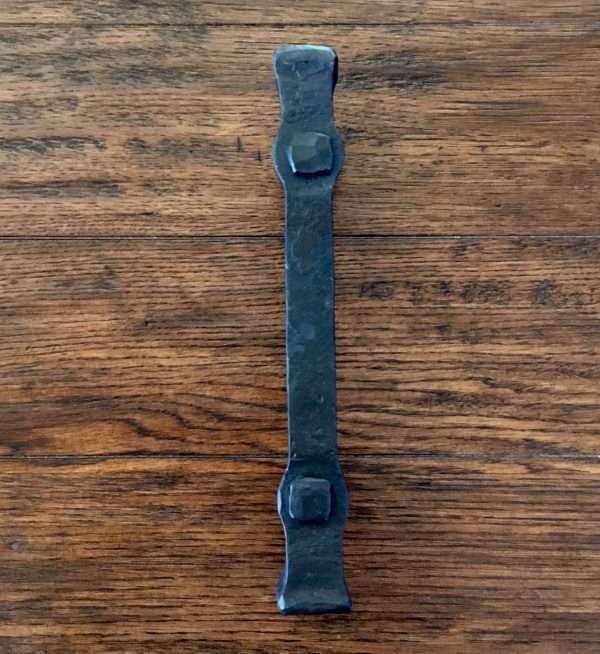 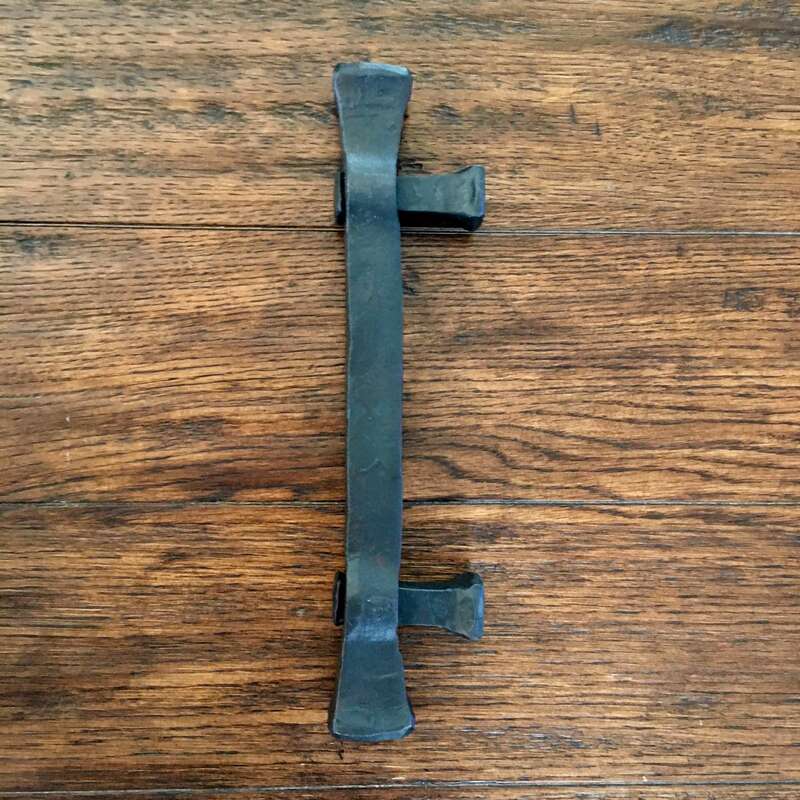 The handle is shaped from 1″ square bar. 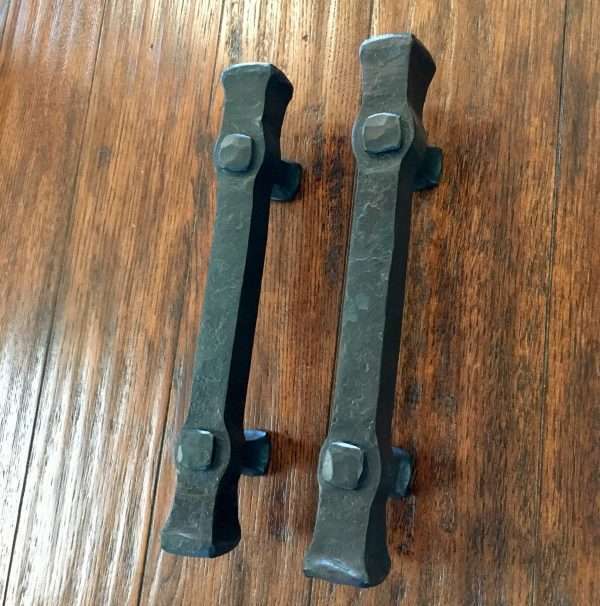 The risers extend 1-1/2″ and have 1″ Bases. 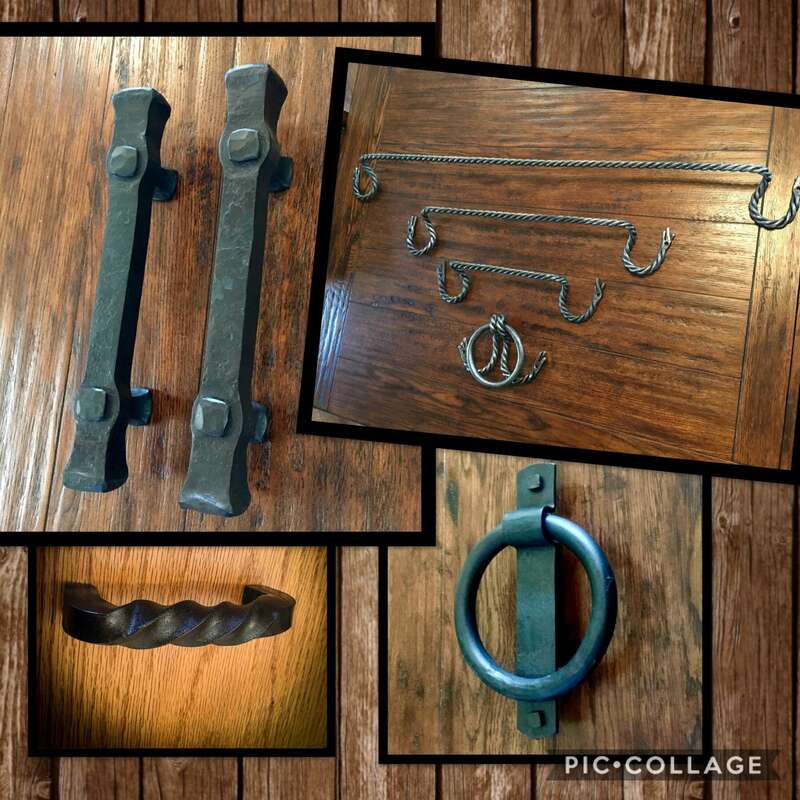 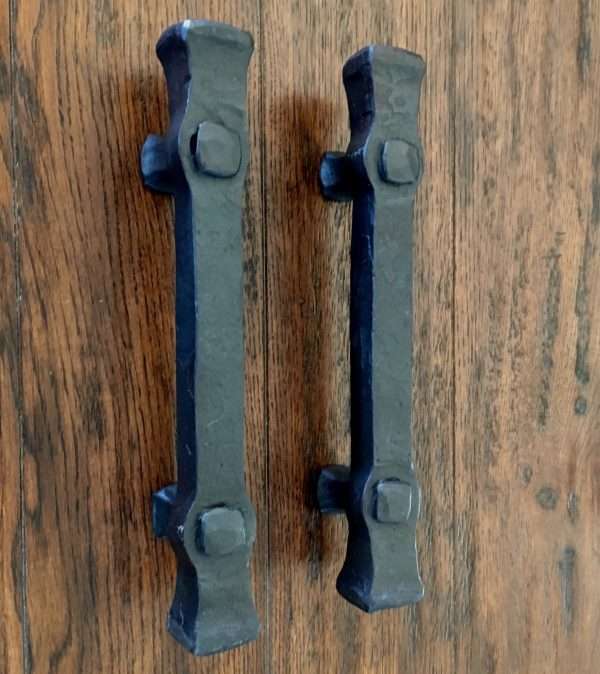 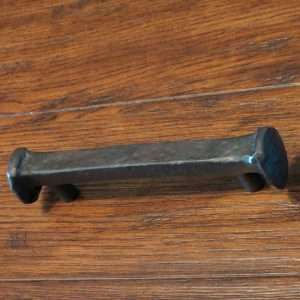 Handle or pull is straight out of the forge, shaped, hammered and lightly brushed to leave a nicely rounded, antique looking and feeling wrought iron knob. After brushing, the Handles are fired once more in the forge to bring out the wrought iron color. 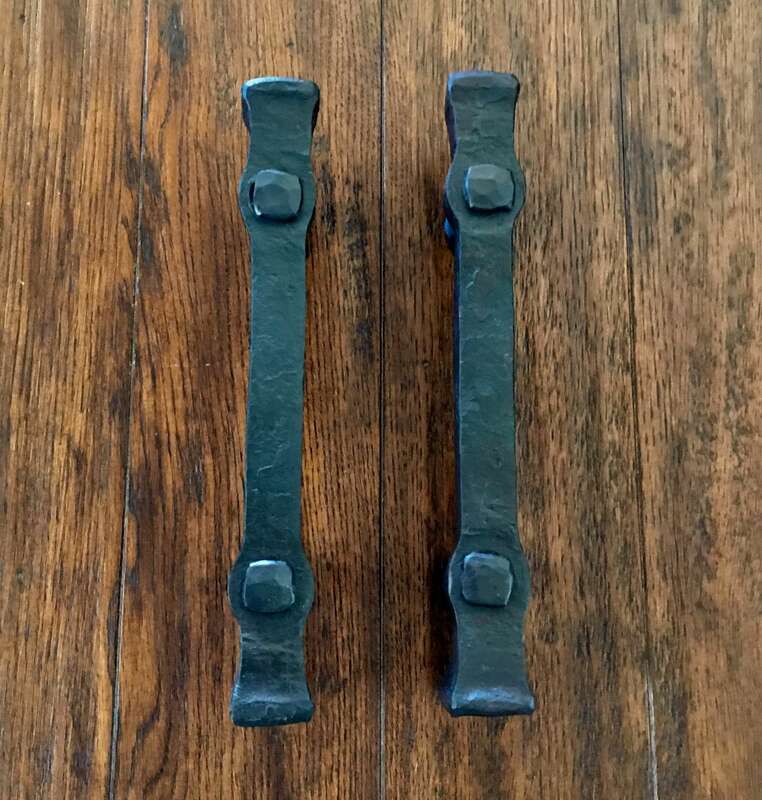 The sale is for one handle. 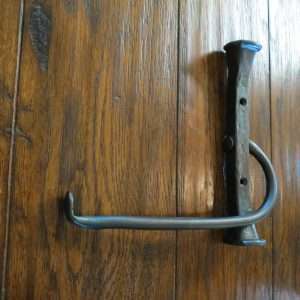 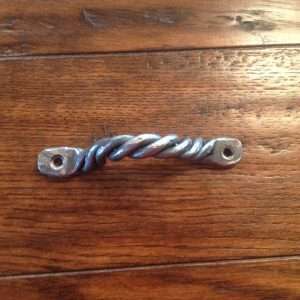 Handles or pulls are sold individually and will vary slightly with size and shape. 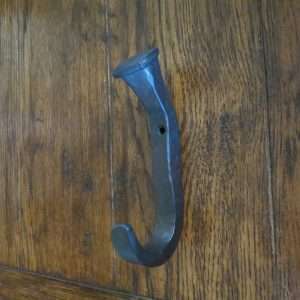 Each handle is tapped and supplied with (2) 2.5″ long 1/4″x 13 bolts. 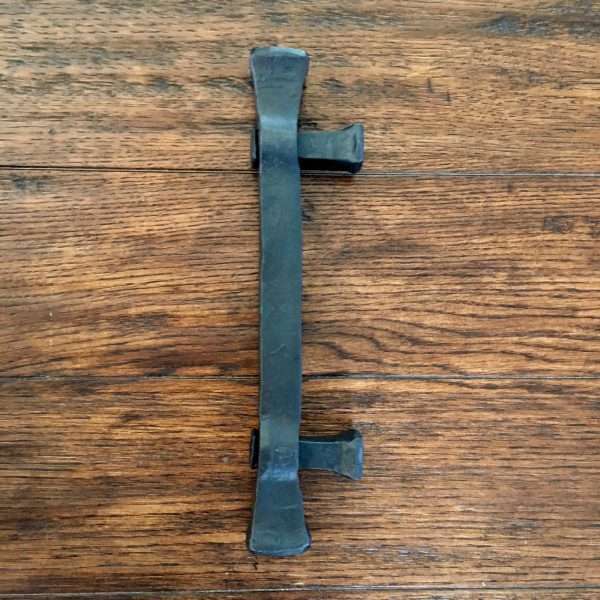 Overall Dimensions are approximately 12″x 1-1/2″x 3″.